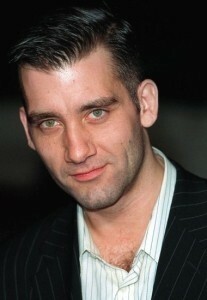 For Clive Owen, practicing his parenting skills as the only man in a house full of women suits him just fine. Even though he grew up in a family with four brothers, the Duplicity actor told the Times Online he is happy to be surrounded by his wife and two daughters, 12-year-old Hannah and 9-year-old Eve. "I’ve never been one of those fathers who wanted to try again for the boy because he’s got girls," he told the news provider. "I’m just crazy about my girls – and I don’t need anything else." Recently, Owen told USA Today that although his work keeps him busy, he would rather be at home enjoying family time and exercising his parenting skills. "I love getting up in the morning and taking [Hannah and Eve] to school and picking them up and hanging with them," he said. Owen added that his daughters have only recently begun to understand what their dad does for a living – although they are not allowed to watch most of his movies, since they are R-rated.